The architect or the architect. Arthur Rubinfeld, Starbucks' Chief Creative Officer & President of Global Development and Evolution Fresh Retail, is actually an architect by trade. I have no doubt his architectural background influences the decisions and vision he has for creating these beautiful, sculptural spaces that resonate with their community and make a statement of location, history and art. The cookie-cutter look of a Starbucks is changing. A design-concsious vision has to come from corporate money, visionary leadership, and a thoughtful responsibility to customer and community, because creating great, timeless art is expensive and must always be thoughtful. 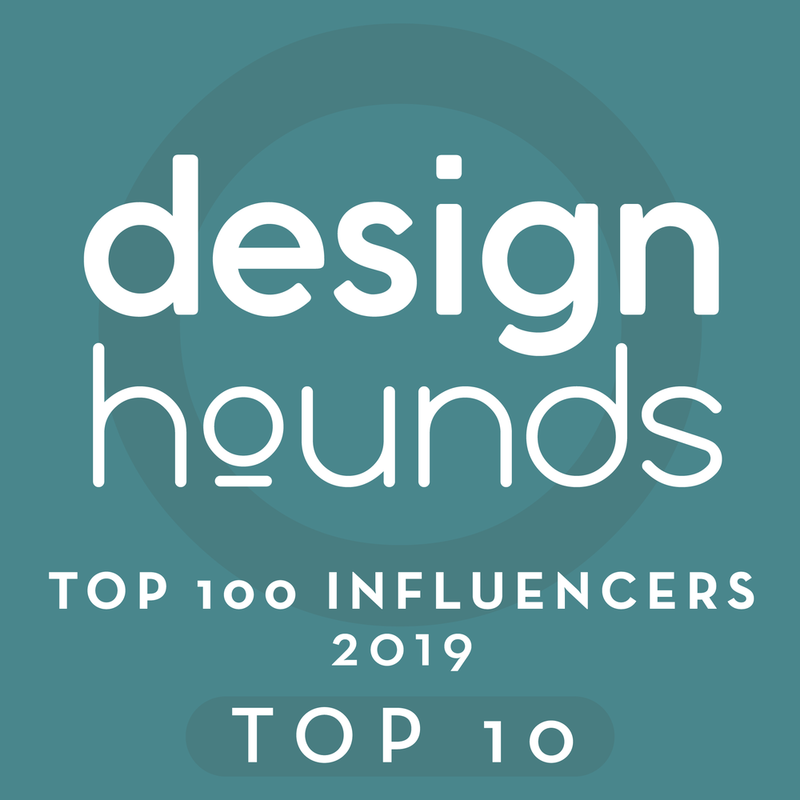 This is a corporate statement about honoring the value of great design. 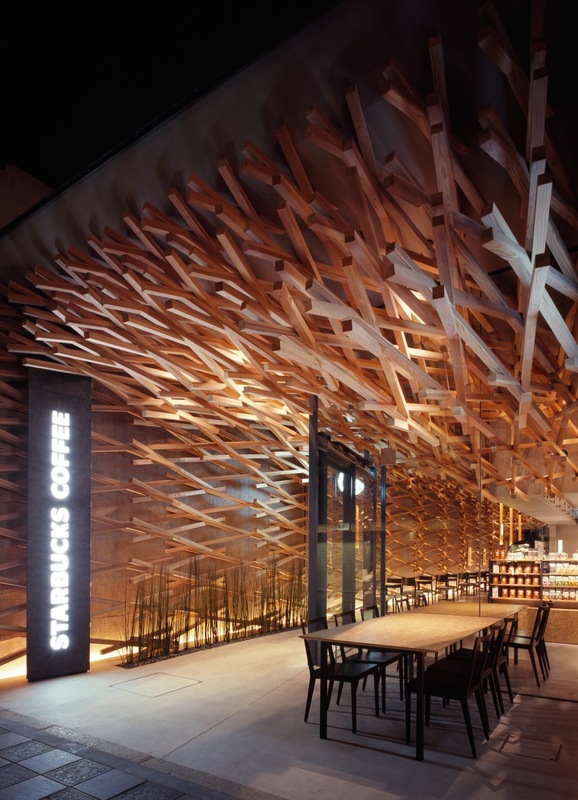 The architect who designed this Starbucks is a true artist who's also lives in this cafe's community: Japan's Kengo Kuma and Associates. Mr. Kuma's goal in designing this space was to use materials in a way that honored the history of Japanese building techniques, as well as provide a sense of place on this small street that leads to a historical shrine where two million visitors pass each year: The Dazaifu Tenmangu. Sure . . . Two million potential customers is great for Starbucks, but I truly believe their efforts to be genuine. After all, who says a win/win scenario is a bad idea?! Frankly, the fact that everyone involved here will benefit is what makes this entire initiative so perfect! Why shouldn't we have great design, great service, great product and -- of course -- great profit?! There are also traditional Japanese structures located in this same area. I just love the marriage of contemporary with traditional in all aspects of design, and to do something so bold, so imaginative on a street that leads to an ancient structure is what makes this Starbucks project so unique and -- well -- perfect. The juxtaposition of structures is the real magic here. According to the architect, the design of the space in general is based on bringing a sense of direction and fluidity, You can read more about the design's inspirations and intentions HERE. And below are some stunning images of this stunning Starbucks. Enjoy!